This transnational comparative history of Catholic everyday religion in Germany and Austria-Hungary during the Great War transforms our understanding of the war's cultural legacy. Challenging master narratives of secularization and modernism, Houlihan reveals that Catholics from the losing powers had personal and collective religious experiences that revise the decline-and-fall stories of church and state during wartime. Focusing on private theologies and lived religion, Houlihan explores how believers adjusted to industrial warfare. Giving voice to previously marginalized historical actors, including soldiers as well as women and children on the home front, he creates a family history of Catholic religion, supplementing studies of the clergy and bishops. 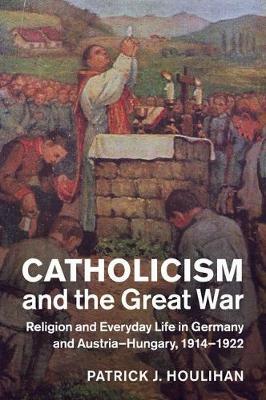 His findings shed new light on the diversity of faith in this period and how specifically Catholic forms of belief and practice enabled people from the losing powers to cope with the war much more successfully than previous cultural histories have led us to believe.